The possibilities are endless and please note we are not just a card challenge, you can also enter other crafts such as scrapbook pages, altered items, crotchet, sewing etc. To be in with a chance of winning any of the prizes below just add your project to the link.You have until the 28th October when the winners will be announced. 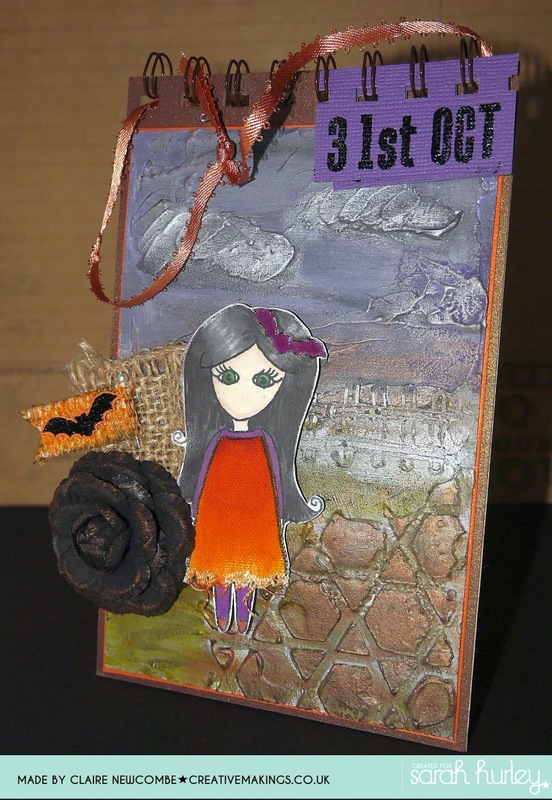 I created a card using Sarah's Doodle Doll Halloween Witch Girl stamp set. The doodle border is from the Doodle Doll Wish Upon A Star set and the text border is from Doodle Doll Be Amazing set. For my card share, I used Sarah's Malcolm Strange stamp set. I stacked the pumpkins, kitty and ghost to show some kind of balancing act while Malcolm is looking at them :) I also used the spider web to stamp the background for my card base. 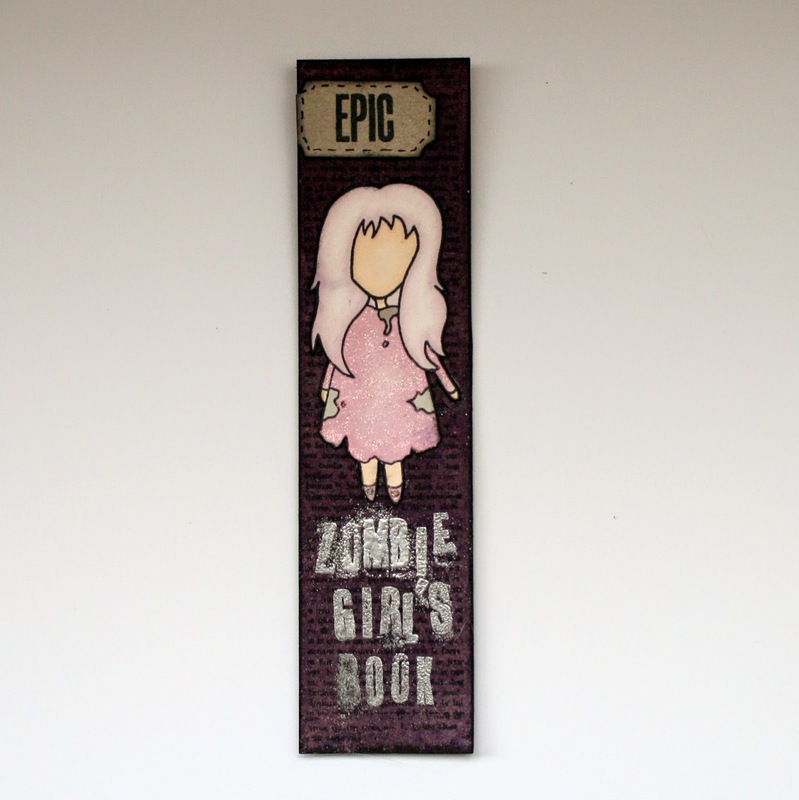 I made this bookmark from Grungeboard, I used purple Distress ink on the Grungeboard then stamped onto the background using Sarah's Mini Background Text stamp, I stamped the Zombie Girl and coloured her in with Promarkers and Stickles. I used Sarah's Block Alpha Stamps with embossing powder for "Zombie Girl's Book" so that it looked a bit grungy & distressed. I have made a fun door hanging using the zombie doodle doll - love this set! 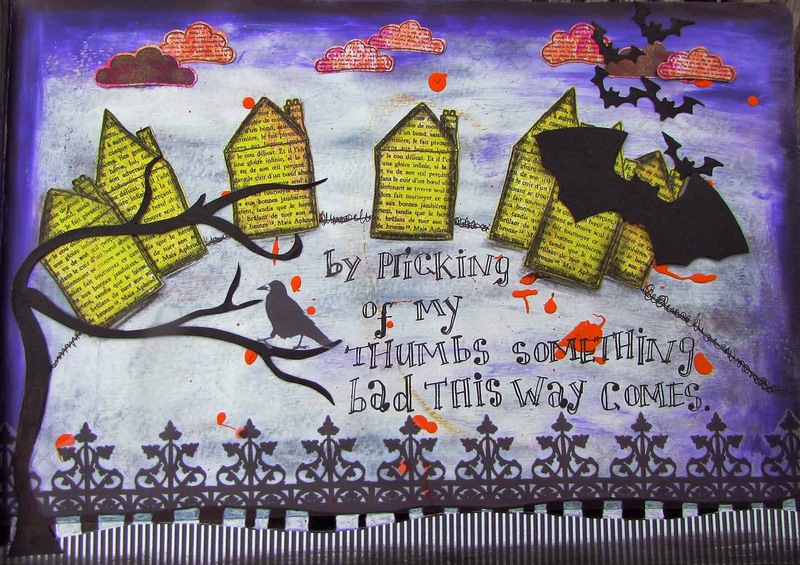 I made it a tag style and used lots of layers of scrap papers to build up the background. I then added a nice long ribbon to hang it on the door handle - perfect for Halloween decor! 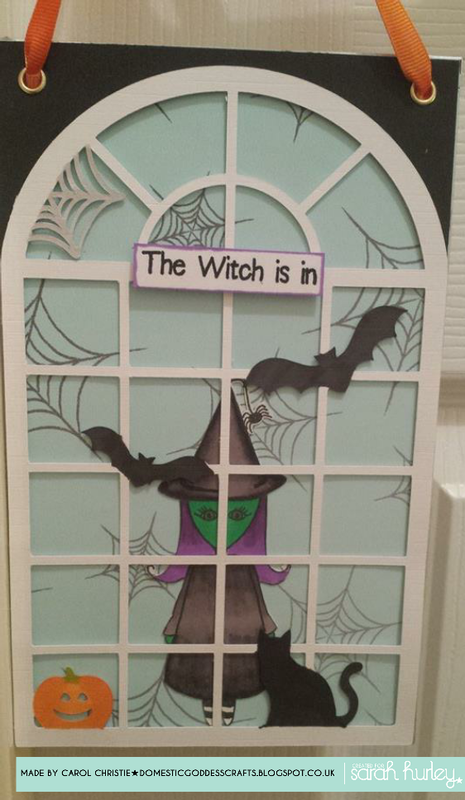 I made a witchy themed door hanger which I will use for my craft room door. 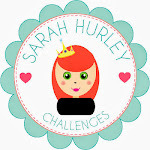 I just love the new Halloween shapes that Sarah has in her Silhouette Online Store, and picked the Halloween Spooky Arched Window Scene to make a wee scene for my witch. I used Doodle Doll Halloween Edition, Witch Girl Stamps for the witch and the sentiment and the spiders web backing paper comes from The Witching Hour Collection which is available from Sarah's Store at Jessica Sprague. I chose to create a journal page using the Doodle Home stamps. Look out for more about my journal page later on in the month. I really struggle with Halloween (eeeek.....sorry Clare LOL! ), so decided to use the colours associated as a theme. I have made a hanging plaque, this time and used the Doodle Doll- Dream a Little Dream stamps. I stamped the dress onto to sticky backed canvas, coloured it with (pumpkin) promarker, frayed the bottom before 're dressing' the doll. I shall go into more detail how its made, later in the month.